If you had the opportunity to attend Mobile World Congress Americas in Los Angeles, you might agree that everything seems to be getting smarter. The way we do things on a daily basis is changing thanks to faster connections, and the data provided through these connections is disrupting industries all around us — changing the way we interact with each other, the way we do business and how we get around. We tackled a few of these emerging areas through panel discussions at the show and were in awe of the exciting innovations in the market today, and just around the corner. Advanced environmental monitoring is helping reduce waste and reroute shipments at risk. According to the Food and Agriculture Organization of The United Nations, up to one third of all food is spoiled or squandered before it is consumed by people. Thanks to smart sensors and tags that monitor temperature and humidity of perishable goods throughout the journey, we have greater visibility into the environmental status of shipments to ensure they stay within compliance. This advanced technology allows us to track down to the package level, to pinpoint where any spoilage occurred to avoid having to dump the entire shipment. Harnessing the power of real-time data across multiple modes of transportation is opening the doors to money savings and greater efficiency. As more data flows from truck, driver, trailer and cargo, we’re under pressure to analyze it quickly to make informed decisions. In order to make the most of this potential, the industry is digitizing the process and bringing together data from various global enterprises and third party shipping integrators to deliver a holistic view of the shipment as it travels from the manufacturer to the retailer or home. It’s a complicated puzzle to solve, but doing so brings the promise of more precise supply chain planning, better service to customers and better margins for businesses. 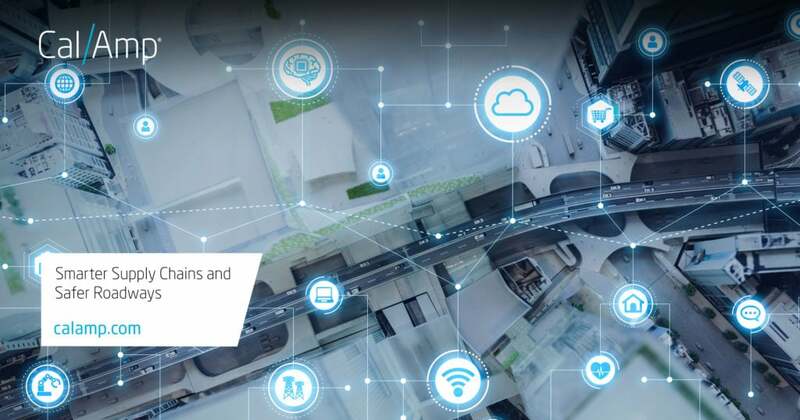 Technology is bringing rapid disruption in the connected vehicle ecosystem and society, often before people and municipalities are ready to embrace it. Electric scooter sharing and other micro-mobility service providers will play a major role in reducing roadway congestion in the last mile. Telematics technology can help regulate the use of alternate forms of transportation, send alerts if drivers are out of compliance and offer incentives to drivers that use it properly. Aftermarket telematics technologies have the potential to accelerate innovation and save lives. An estimated 115 million cars currently on the road today are not connected. Aftermarket telematics technology can harness the power of data sets that can be stitched together to offer more meaningful insights into why crashes are occurring in certain areas. In school zones for example, telematics technology can send alerts to connected vehicles that are coming into a school zone to elevate awareness. All panelists expressed the importance of bringing together public and private institutions and providing technology to create a safer driving environment. There is a lot of talk about safe multi-modal transportation. In order to make that work well, it requires forethought, a willingness to share data and collaboration between multiple institutions from large enterprises and transportation companies to municipalities. CalAmp expressed a social responsibility to utilize its CrashBoxx crash response technology to communicate crash incidents directly to law enforcement and first responders to speed life-saving assistance. We would like to thank all the partners and panelists for such a lively and thoughtful discussion. We look forward to continuing the dialogue in these and other important areas of technology advancement.